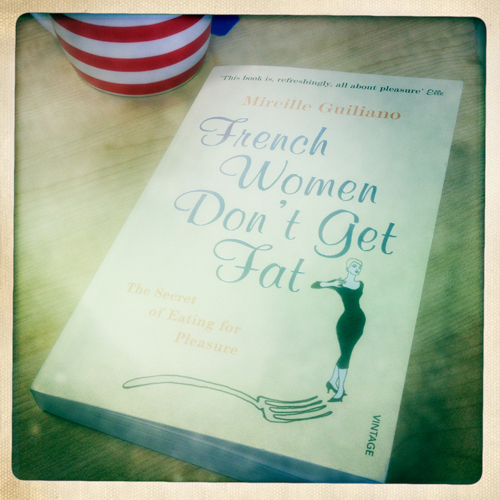 So I’ve started reading the book French Women Don’t Get Fat. Currently a third of the way through, and I’m really enjoying it. It’s a mix of a story, self-help and cookbook. I like Mireille, I like the way she writes, and I love her personal story. There are times when I have actually laughed out loud, like the part where after not seeing his daughter for 12 months, the first thing her father says to her is “you look like a sack of potatoes”. Not to be mean or hurtful, but just an innocent reaction to her weight gain. It made me laugh cos it’s not too far from something my dad would say. He is first to comment if he thinks I have gained a few kilos, always saying that my bum looks bigger. It’s ok, I’ve learned to live with it. When my brother says it, I know he’s just trying to be wind me up. So back to this book. So far I’ve come to realise that the French way of eating is not so different to the Italian way of eating. Major difference is the French would never sit down to a big plate of pasta, where Italians do, mainly for lunch. But the concept of meals is the same - we eat together as a family at the dinner table. From when we sit down to when we clear out plates an hour could have easily passed. We enjoy our food, eat slowly, talk, laugh and debate over our meal. We eat three decent meals a day (maybe not so much me as I tend to skip breakfast due to choosing an extra half hour to sleep in the morning) and finish with fruit. We don’t go to the gym to exercise (a more-modern lifestyle is changing this), but we generally eat in moderation, eat well, and enjoy the ‘treats’ every now and then. 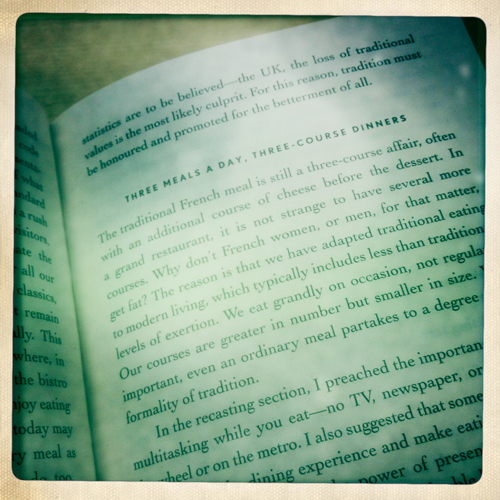 I needed this book to remind me of the way to eat. Too often now I eat dinner quickly as I have other things to do, or I work throughout lunch. I’ve started snacking, which means my main meal wasn't sufficient enough. I’ve steered away from my normal way of eating and I need to get back to it. I do eat healthy and have a good range of protein, vegetables, fibre and water, although I could definitely drink more water. 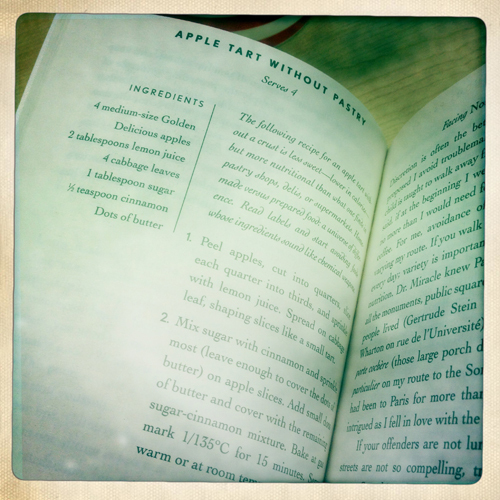 I’ve come across a some recipes so far, and noticed that there are more at the back of the book, so don’t be surprised if a couple pop up on this blog! I’m really excited to see what the rest of the book has to offer. just found your blog - great food pics! curious to see what you think of the rest of the book! I love the process of a meal. Preparing the food. Setting the table. Lingering. It's a kind of meditation. The fact is that by eating slower your metabolism has the time to record what you're getting and the brain will "tell" you that you're full earlier. Remember that it takes about 20 minutes for this process to be complete. If you're in a rush the advice I give to my friends to leave the table a little bit hungry...it always work!